Politician avoids criticism of gun industry, but Grand Theft Auto is fair game. As the United States once again participates in a heated debate on topics like gun control, mental health issues, and the like, U.S. 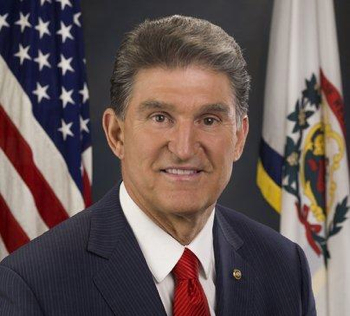 Senator Joe Manchin has made his feelings known. In an interview with West Virginia's Metro News, the democrat from West Virginia notes that he is a proud supporter of the NRA, but questions whether Grand Theft Auto titles should perhaps be pulled from store shelves. After firmly stating that he refuses to let the NRA or anyone else "be villainized," Manchin sets his sights on Rockstar's flagship franchise. ""Look at Grand Theft Auto, put out by Rockstar Games in New York City and see what it promotes." Adding later, "Shouldn't that be looked into and maybe be banned?" Well, for someone who refused to point fingers, Manchin certainly seems to be extending a digit in the direction of the video game industry. The Senator also engaged in discussion regarding the banning of assault weapons, noting "I don't know anybody that needs 30 rounds in the clip to go hunting. I mean, these are things that need to be talked about." And he's right; This is a topic that is not only sensitive to just about everyone, but also has a multitude of angles and inspires passionate opinions. But while we're being careful to not step on the toes of everyone from gun owners to mental health practitioners, shouldn't the same care be given to the developers and publishers of videogames? I'll leave that to you to decide.